Flaxen horses have a mane and tail that is lighter then the body color and not caused by a dilution gene like the cream gene. It can be pale cream all the way to bright red in color depending on the body color of the horse. It only appears on red based horses. The method for flaxen inheritance is not well understood. It may be a distinct gene or a combination of several genes. It is undoubtedly influenced by the amount of pigment a horse has on the rest of it’s body. 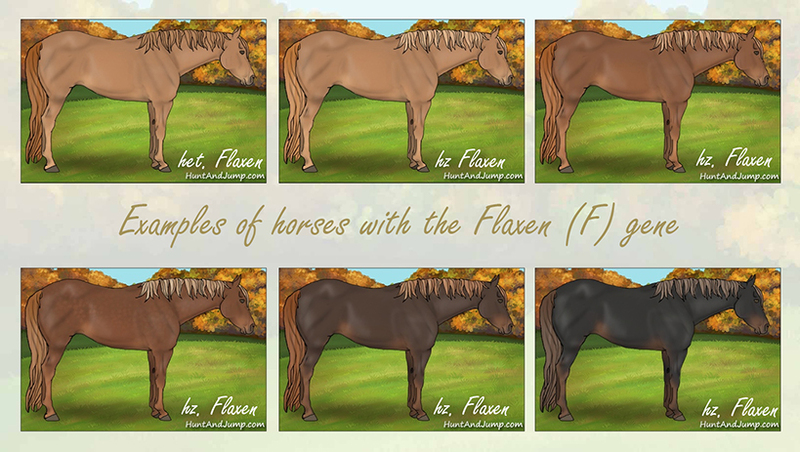 In the game flaxen is recessive and only shows with two ff copies.